This book provides a comprehensive account of the emotional and cognitive aspects of Parkinson's disease, derived from the neurological and psychiatric assessment of hundreds of patients by the authors. 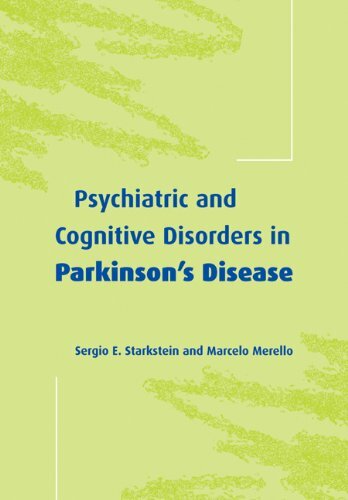 It offers a thorough survey of the published literature on the topic and readers will find a complete and helpful overview of the clinical features and treatment of Parkinson's disease, followed by discussions of associated depressive disorders, anxiety, phobias, apathy, hallucinations, delusions, and sleep disorders. The authors also discuss specific cognitive deficits and the mechanisms for these disorders, as well as the psychiatric and cognitive side effects of anti-parkinsonian medications and new surgical treatments. This book provides a comprehensive account of emotional and cognitive aspects of Parkinson's disease, based on the neurological and psychiatric assessment of hundreds of patients by the authors. It covers depressive disorders, anxiety, phobias, apathy, hallucinations, delusions and sleep disorders, and specific cognitive deficits are also discussed. It also reviews the psychiatric and cognitive side effects of anti-parkinsonian treatments. Offering sufficient scientific detail for the specialist in neurology and psychiatry, the practical emphasis will meet the needs of all clinicians working with Parkinson's disease patients.